We are delighted to announce that we will be joined by Lynne Owens CBE QPM, the Director General of the National Crime Agency (NCA), who will brief members on the current work and priorities of the National Crime Agency in protecting the national security of the United Kingdom. Serious and organised crime is one of the deadliest threats facing the UK today – blighting communities, ruining lives and costing the UK at least £37 billion each year. It affects more citizens, more often than any other national security threat and leads to more deaths in the UK than terrorism, war and natural disasters combined. The NCA leads the UK’s fight to cut serious and organised crime, protecting the public by disrupting and pursuing those criminals who present the highest risk to the UK. Lynne is an experienced police officer, having joined the Metropolitan Police Service in 1989, and was awarded the Queen’s Police Medal in 2008 and in the 2015 Queen’s Birthday Honours was awarded the CBE for services to policing and criminal justice. 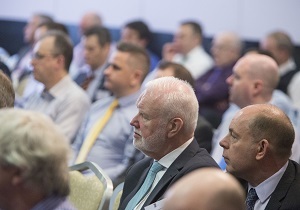 This is an excellent opportunity for ADS members to hear first-hand from the leader of a critical contributor to the safety and economic prosperity of the UK and gain further understanding of where industry can aid the NCA in achieving its objectives. We anticipate that this will be a very popular event and registrations will therefore be done on a one person per member company basis. Should there be capacity closer to the event then it will be opened up to registrations from additional attendees, as per the normal procedure.